If there’s a Johnny Appleseed of innovation in Winston-Salem, Dr. C. Douglas Maynard (’55, MD ’59, P ’88) would have to be a candidate. 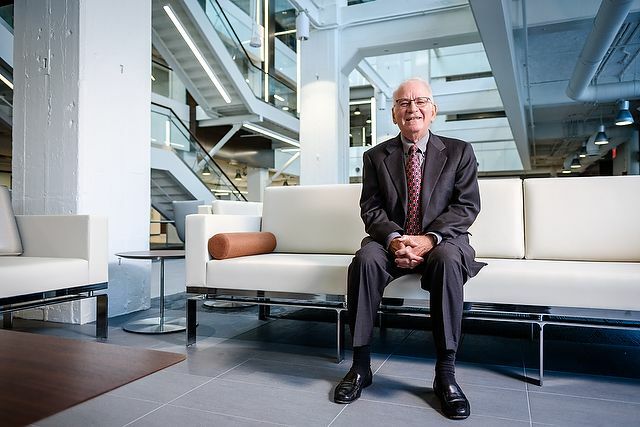 A doctor, professor emeritus of radiology and former chair of the radiology department in the School of Medicine, he envisioned the intersection of technology, medicine and business decades ago. Pete Santago, chair of Wake Forest’s computer science department and former chair of the School of Medicine’s Department of Biomedical Engineering, said Maynard hired him in 1986 and predicted three things would happen: The National Institutes of Health would establish an institute devoted to medical imaging, downtown Winston-Salem would have a research park and Wake Forest would have an engineering program. All three have now come to pass. At the urging of Maynard and his national colleagues, then-Rep. Richard Burr (’78), R-N.C., submitted a bill that in 2001 created the National Institute of Biomedical Imaging and Bioengineering, which supports university and hospital research. Maynard had recognized that computer networks would be critical to sharing digital radiology images, Santago said. Maynard and other community leaders also saw that biotechnology and medical research could help replace Winston-Salem’s withering economy. “Before, we were tobacco, textiles, transportation,” Maynard said. Maynard and Santago, along with many civic leaders, were instrumental in establishing Piedmont Triad Research Park, created in the mid-1990s by an alliance of academic, government and business leaders. In 2000 the medical center bought One Technology Place, the first newly erected building in the park. 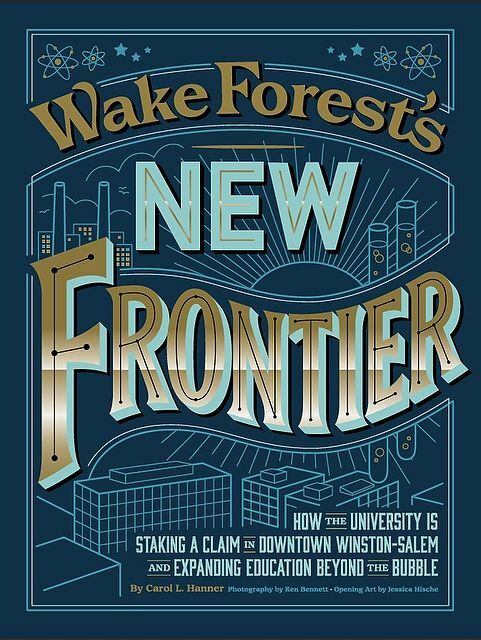 The park was renamed Wake Forest Innovation Quarter in 2013. “The arts community downtown has made a really huge effort, but without the medical school, downtown wouldn’t be what it is today,” Maynard said. he drumbeat for undergraduate engineering began almost 30 years ago but took longer to emerge. Proposals circulated every few years, but the timing wasn’t right. Space on the Reynolda Campus is precious, and a new building, especially for science, would be expensive. Maynard said he also thinks the culture in liberal arts education made some faculty members skeptical of adding engineering. He and Santago set out to create a joint engineering program with N.C. State University but lost out eventually to a UNC-Chapel Hill and N.C. State collaboration. The professors went on to find enthusiastic colleagues at Virginia Tech; the Virginia Tech-Wake Forest University School of Biomedical Engineering and Sciences began in 2003. The graduate program, offered by Wake Forest’s medical school and Virginia Tech’s engineering and veterinary schools, focuses heavily on biomechanics and tissue engineering. Maynard’s prophecy was fulfilled in the medical school but not yet in the College. By 2015, the elements fell together for the unwritten chapter. 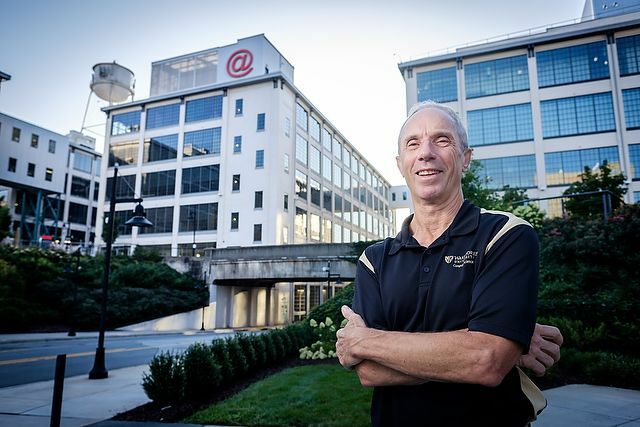 Wake Forest already was leasing Wake Forest Biotech Place, a tobacco building renovated to house research labs for the medical school and biotech businesses. The medical school had moved its public health, nurse anesthetist and physician assistant education programs to Innovation Quarter. The medical education team was slated to move there in 2016. The finances made Wake Downtown feasible. Reynolds American had donated the tobacco buildings, and Wexford Science & Technology, the developer for Innovation Quarter, was able to offer tax credits of about 50 percent to investors in the $100 million renovation project. The University would lease the buildings, made more affordable by the tax credits and donated buildings. Hatch and Kersh said the arguments for the move were many, but they had to act fast or they would lose the expiring tax credits. In a year and a half, administrators, faculty and staff did an impressive job of planning, studying and seeking approvals that normally would have taken several years, Kersh said. 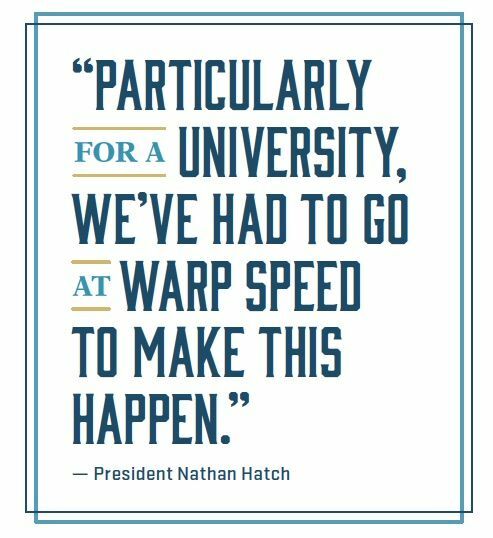 “Particularly for a university, we’ve had to go at warp speed to make this happen,” Hatch said. The fruits were just too good to pass up. Studies by a consulting group had clearly identified a set of potential top students in science and math who eschewed Wake Forest because it had no engineering program. The consulting group took a deeper dive, did extensive interviews and discovered that an estimated 350 students would come to Wake Forest for an engineering or biomedical program, Kersh said. 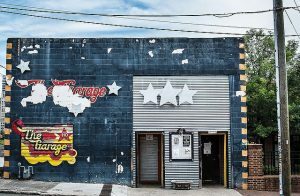 The evolution of downtown Winston-Salem also bolstered the case. Innovation Quarter offers exactly the kind of environment companies and institutions are looking to join, said Vey of the Brookings Institution. She is familiar with Wexford, which has financially supported Brookings’ innovation research. Research parks began in suburban areas in the mid-20th century because that was the growth pattern in cities, she said. That is now shifting, nationally and globally, to urban areas with more walkable, interactive spaces and a sense of community. Wake Forest Innovation Quarter is operated by Wake Forest Baptist Medical Center (WakeHealth.edu), which also oversees Wake Forest Baptist Health (a regional clinical system), Wake Forest School of Medicine (a leader in medical education and research) and Wake Forest Innovations (promoting commercialization of research discoveries).